Kerri French will be reading as part of The Idle Hour Reading Series October 2017 at Bobby’s Idle Hour in Nashville tonight at 7 p.m. The program will also include Joe Pagetta, Jenna Dorian, and Stephanie Davis. 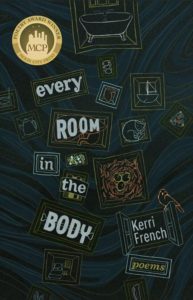 Kerri’s collection, Every Room in the Body, won the 2016 Moon City Poetry Award. Check out the event’s Facebook page for more details.